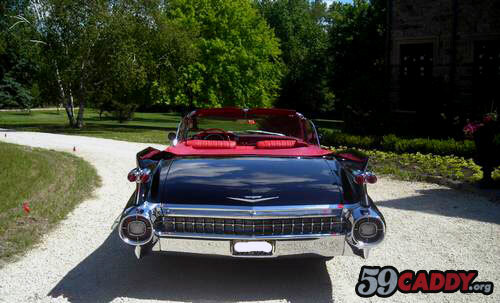 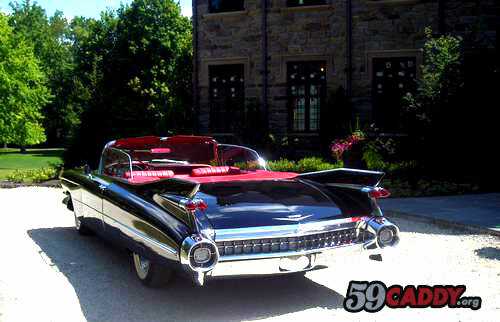 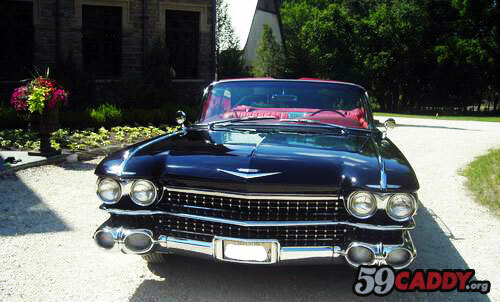 1959 Cadillac Convertible For Sale. 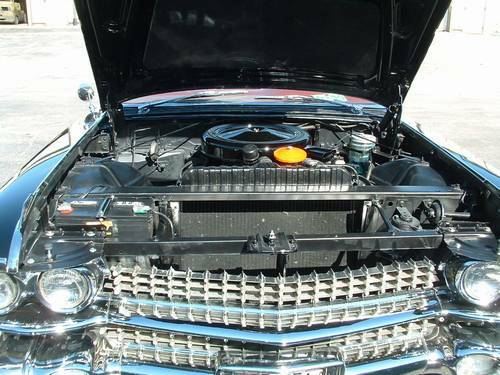 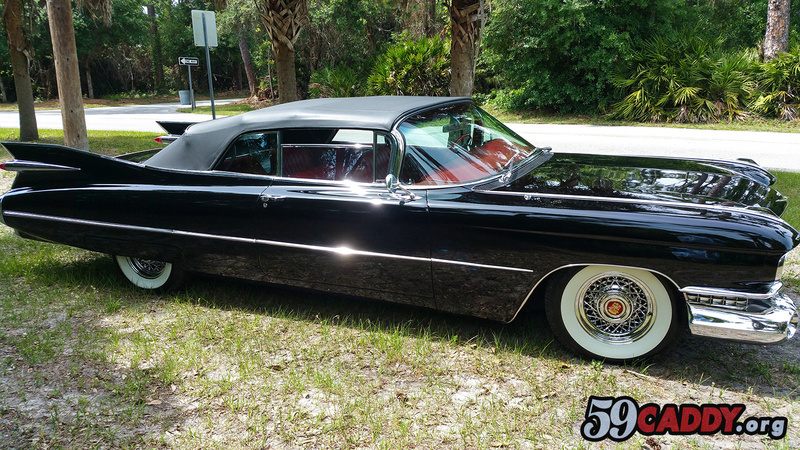 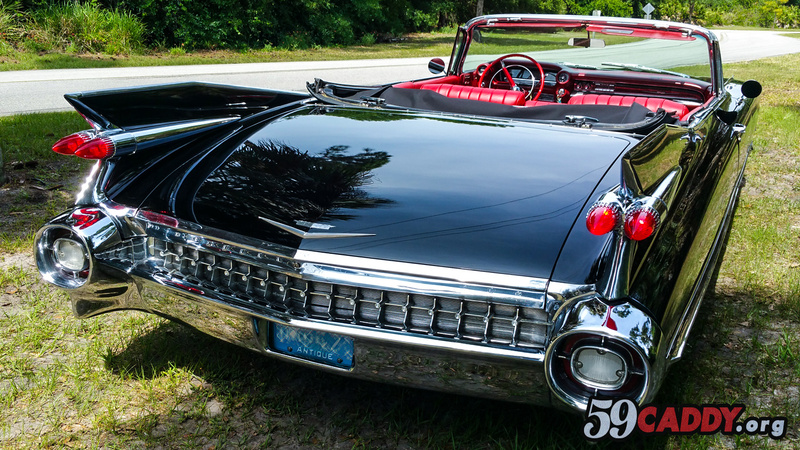 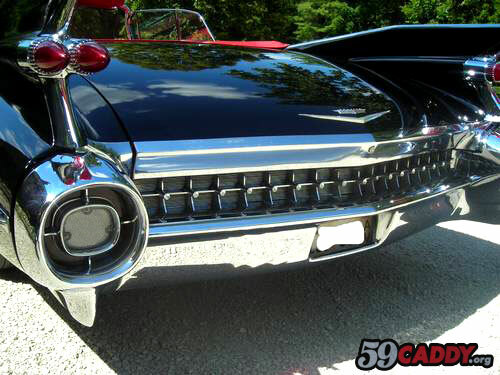 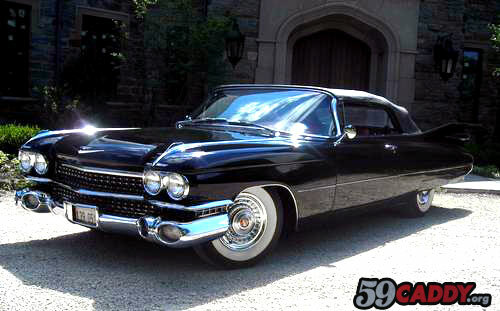 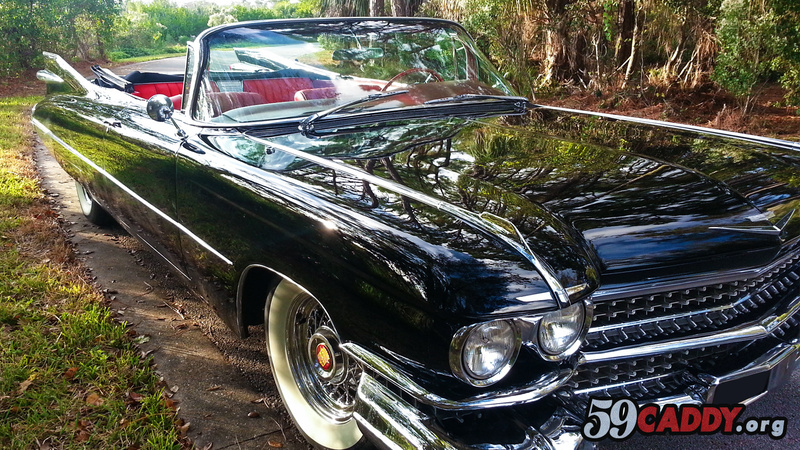 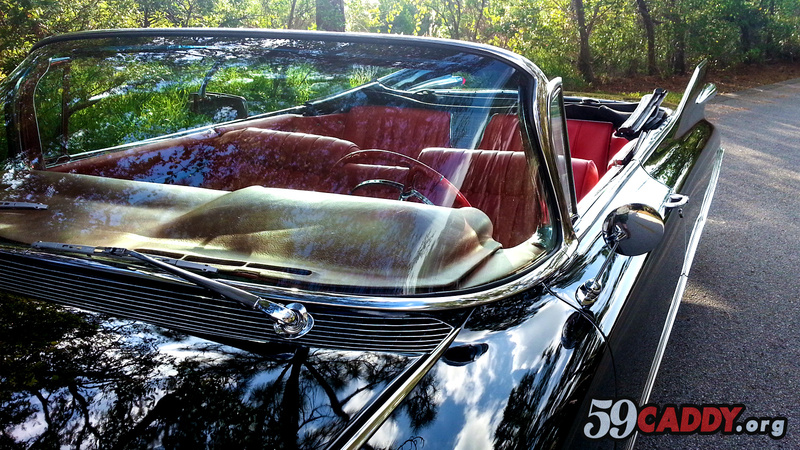 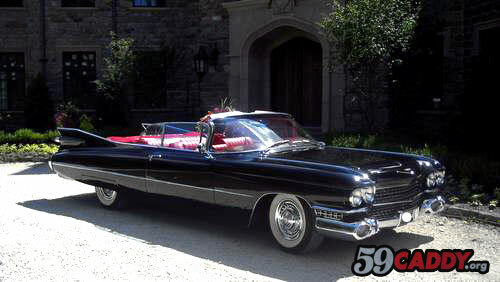 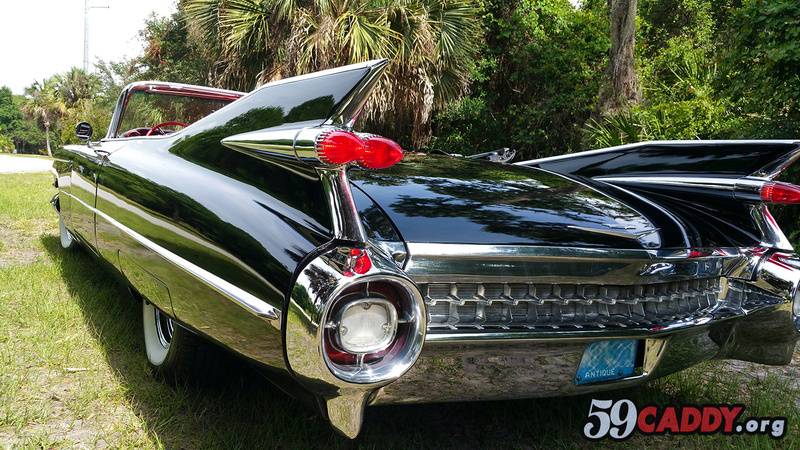 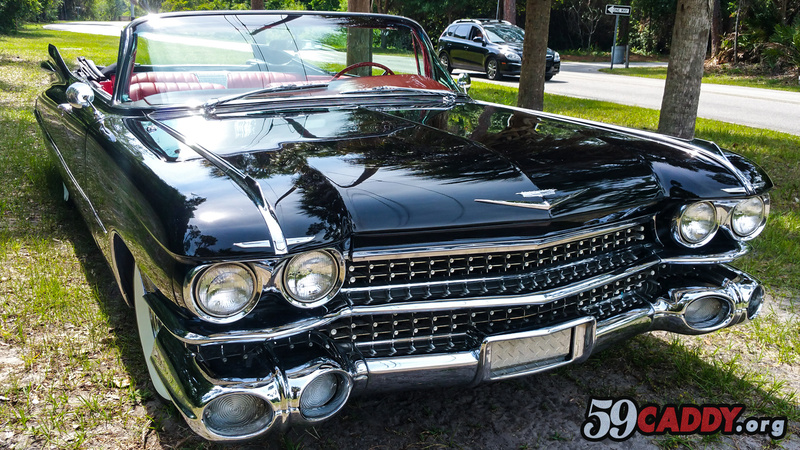 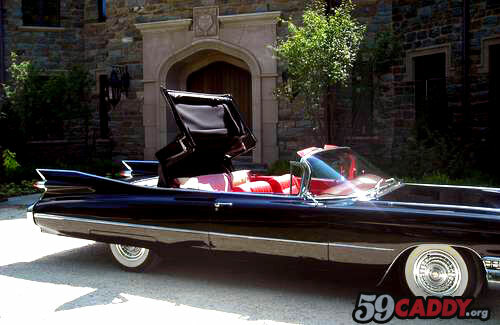 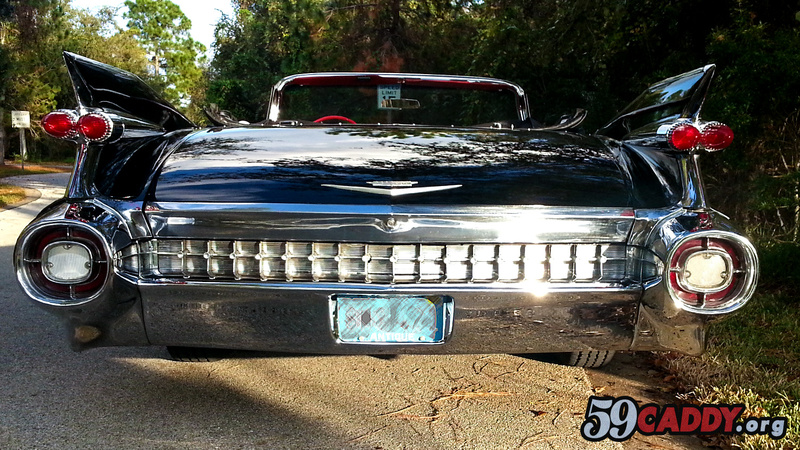 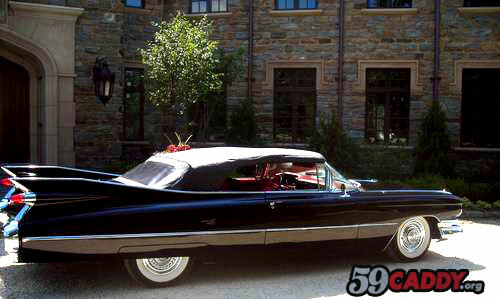 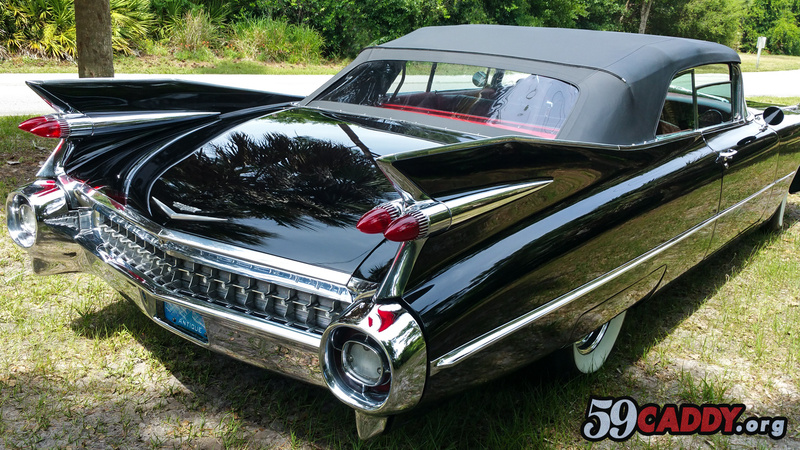 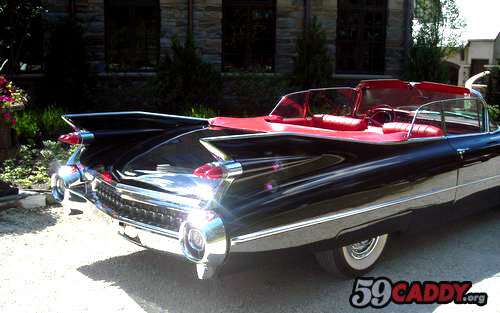 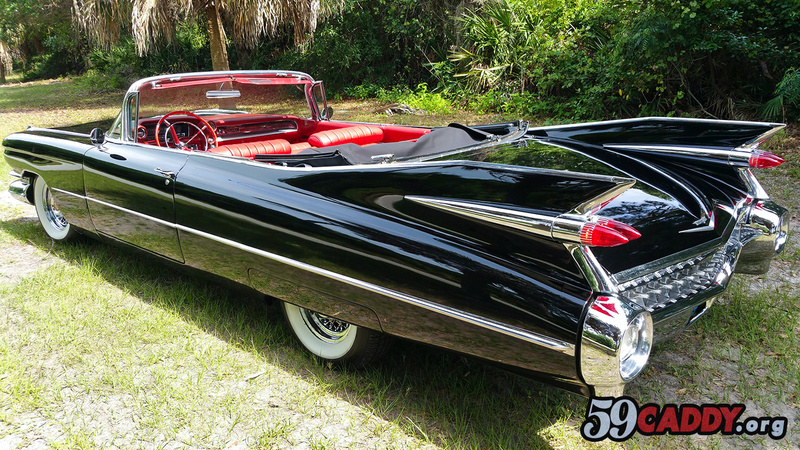 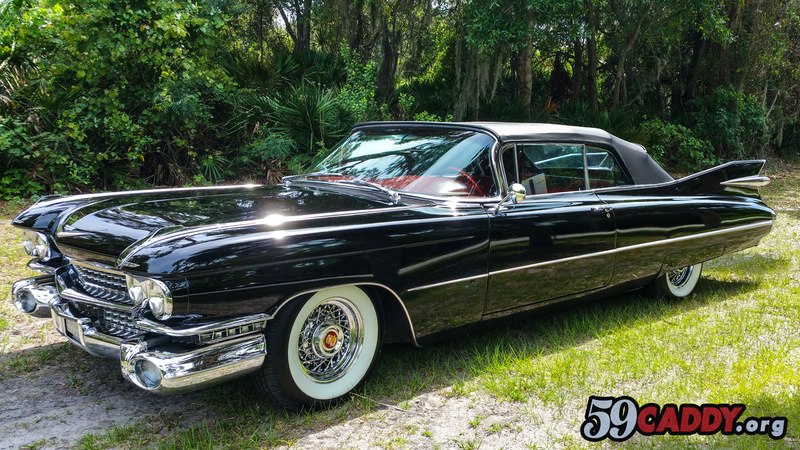 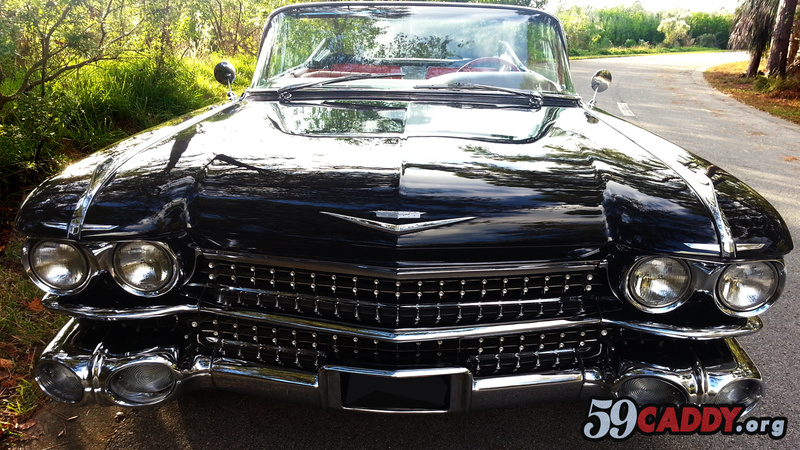 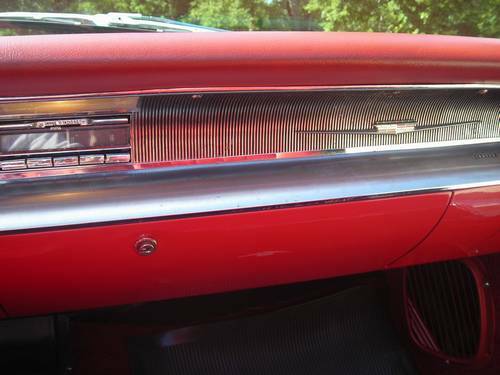 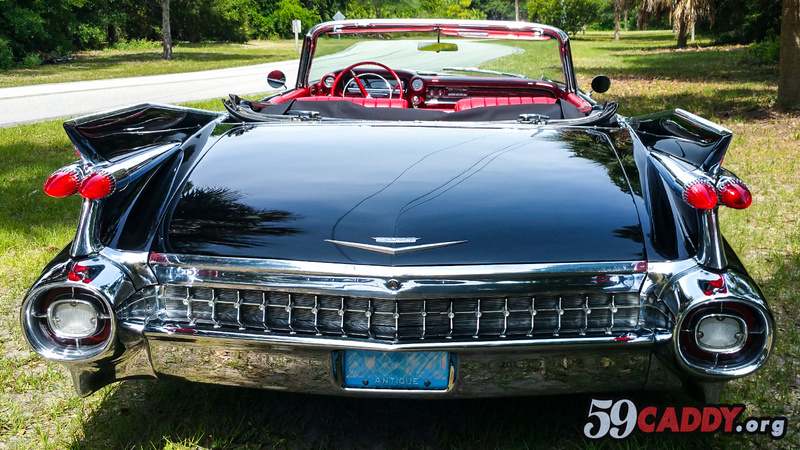 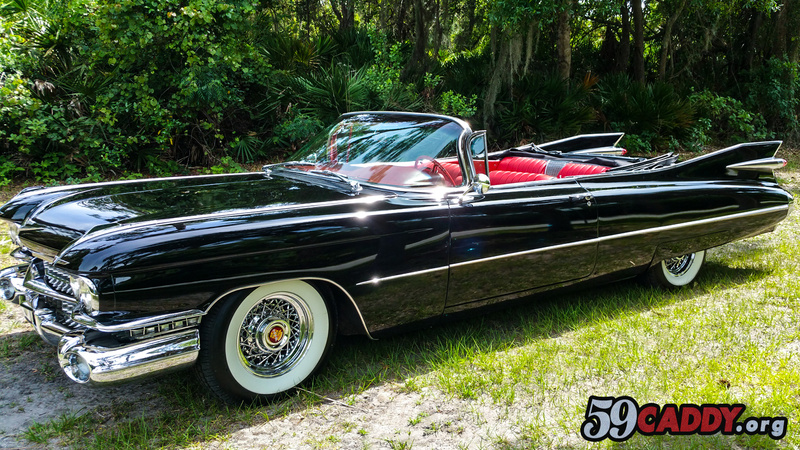 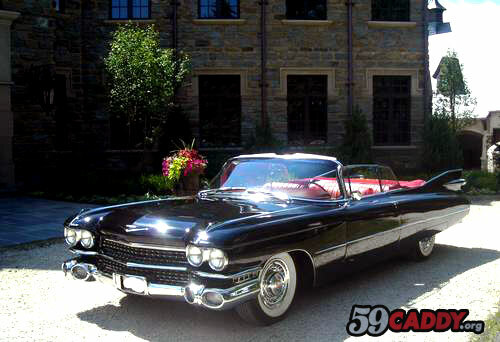 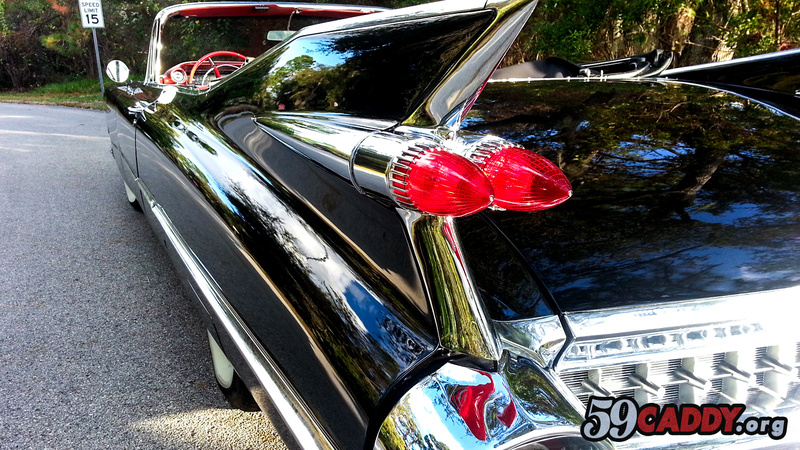 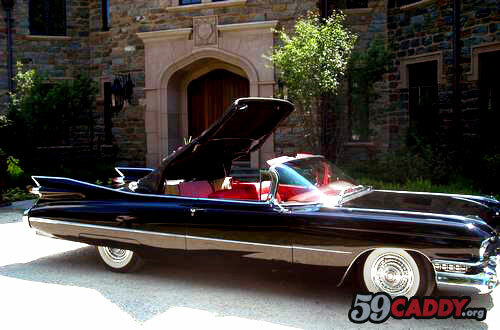 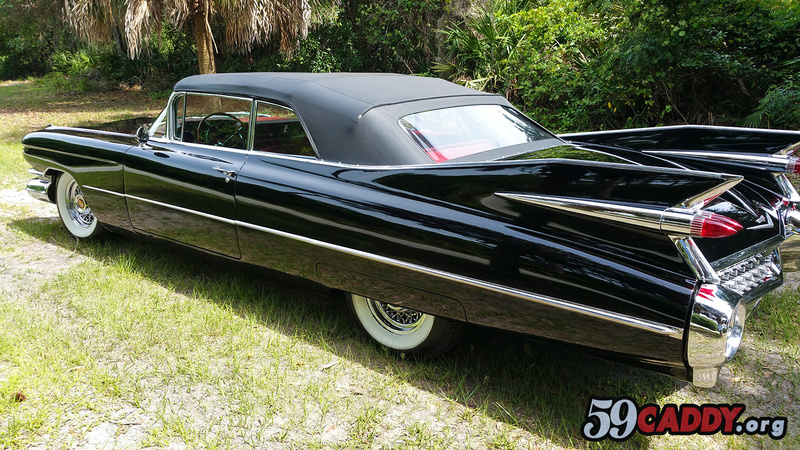 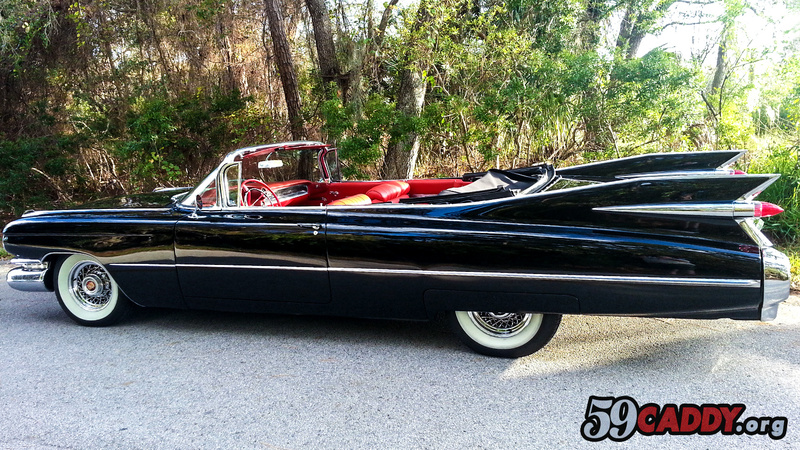 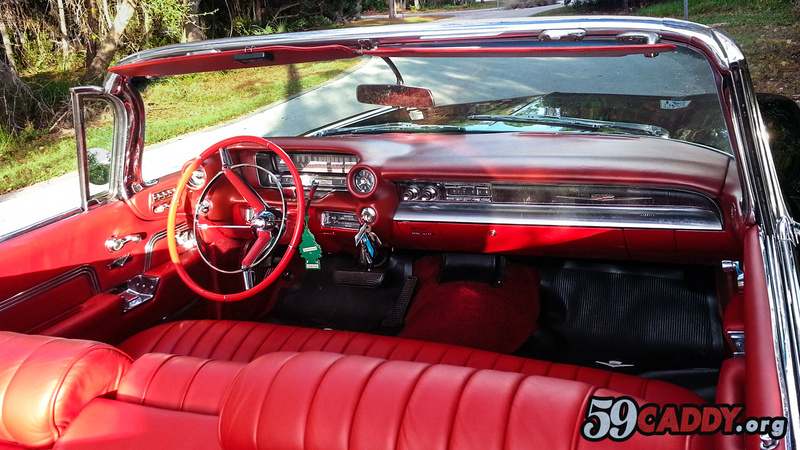 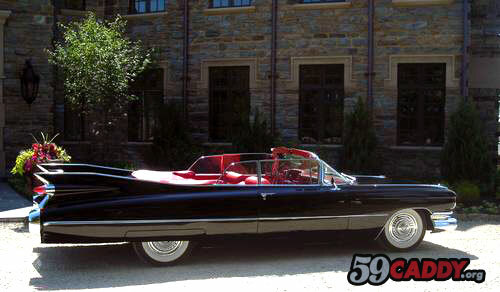 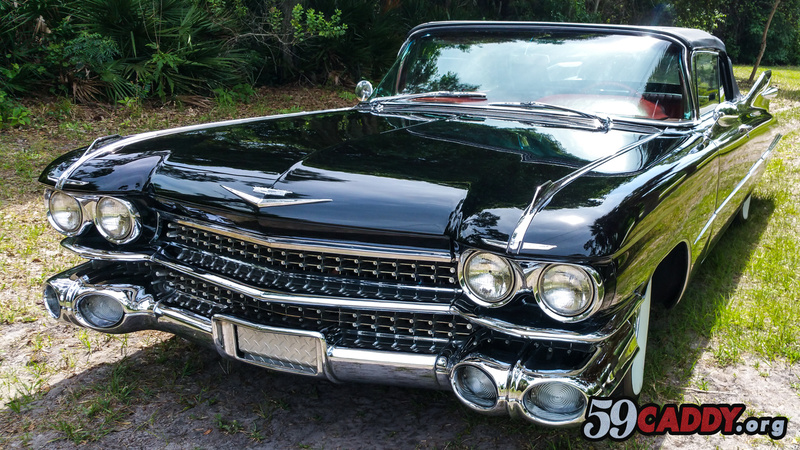 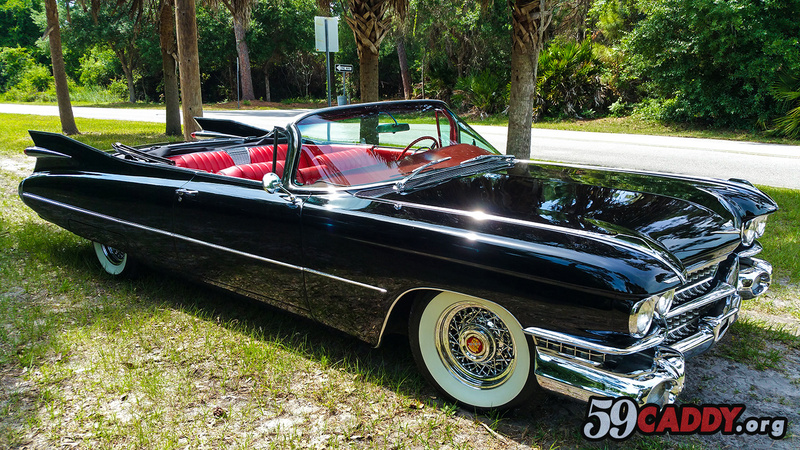 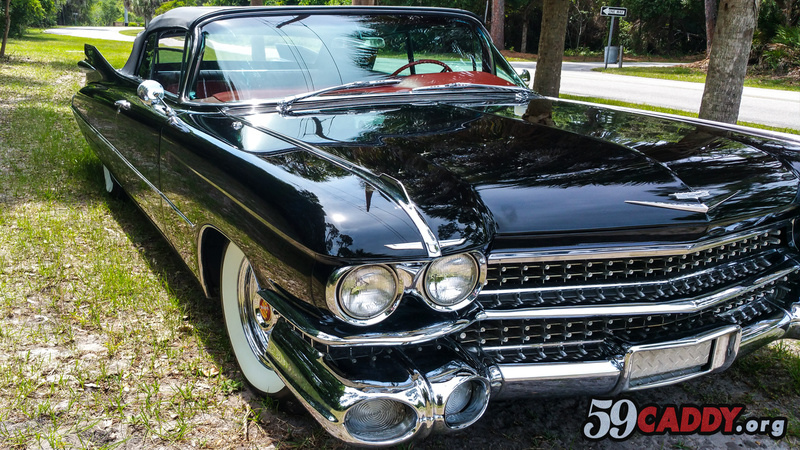 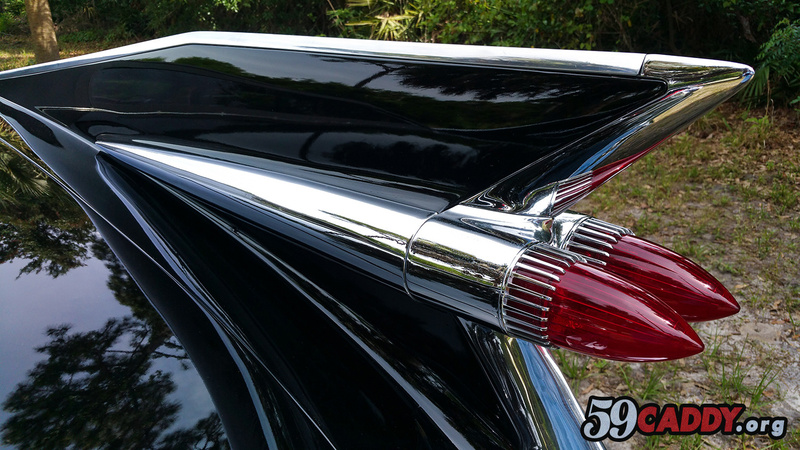 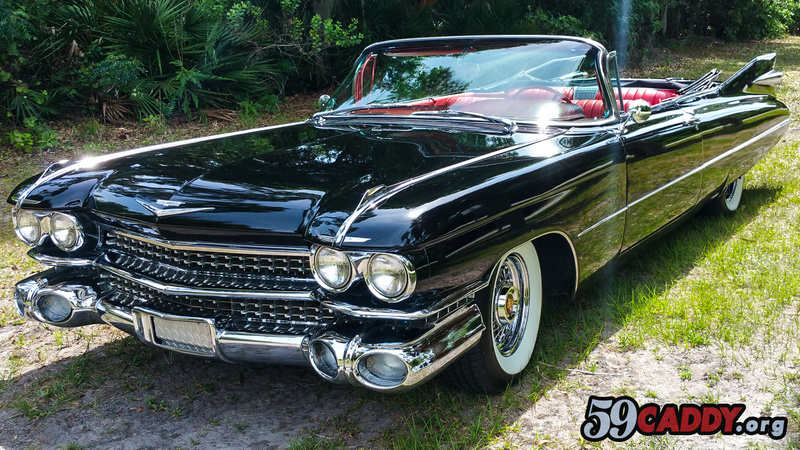 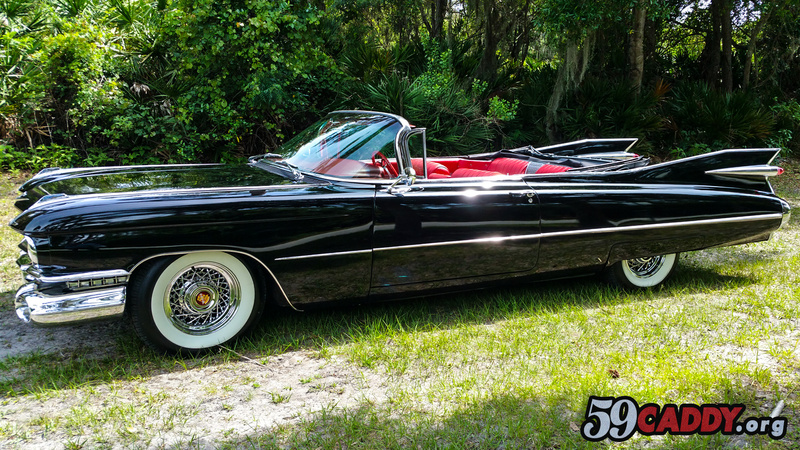 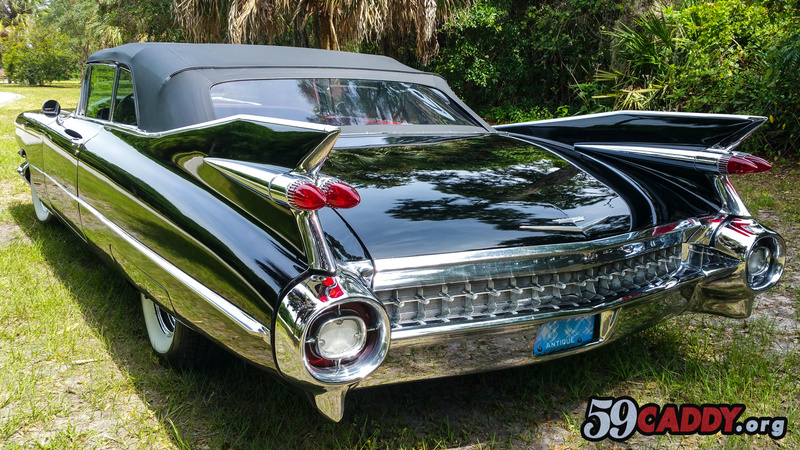 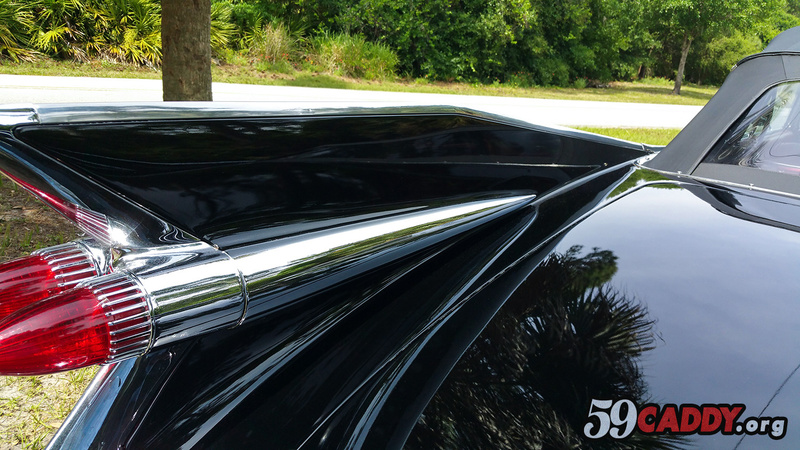 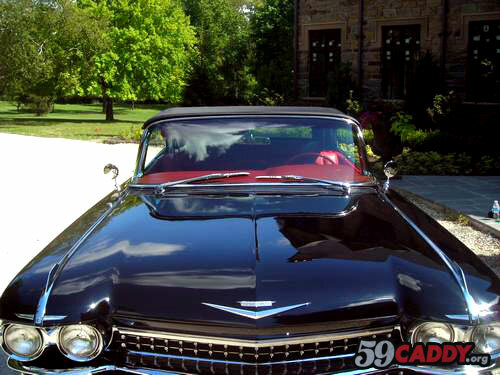 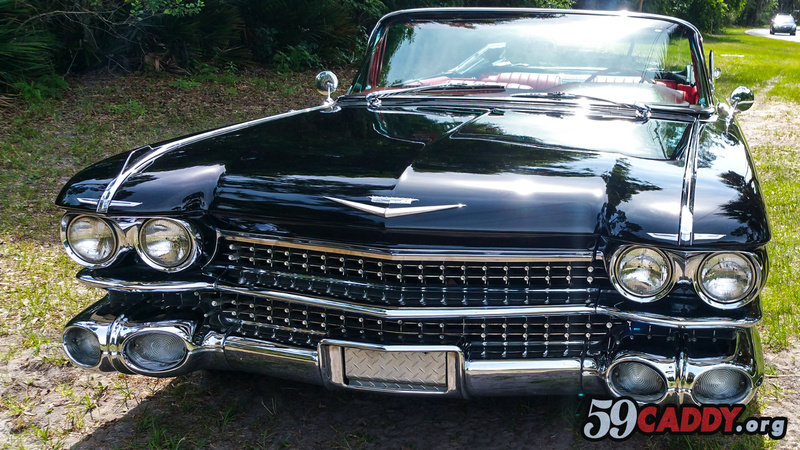 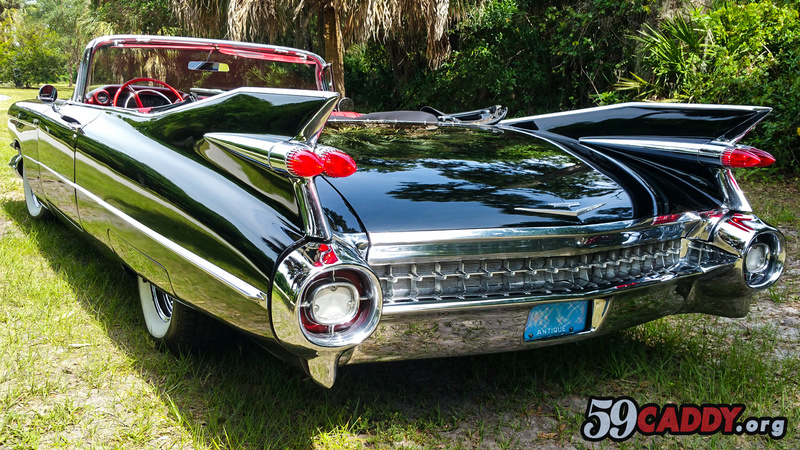 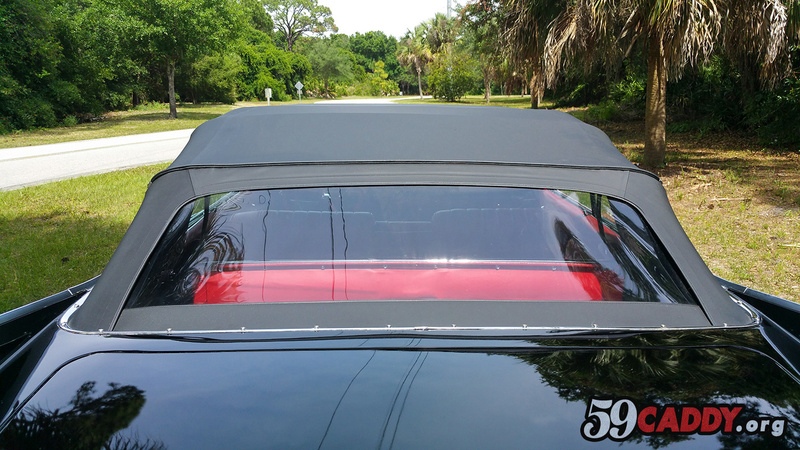 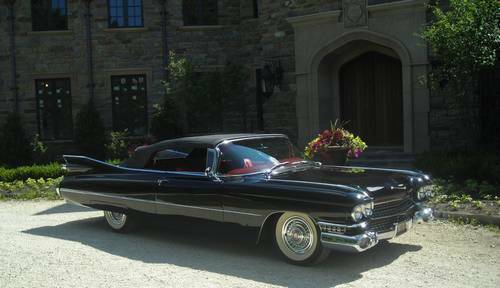 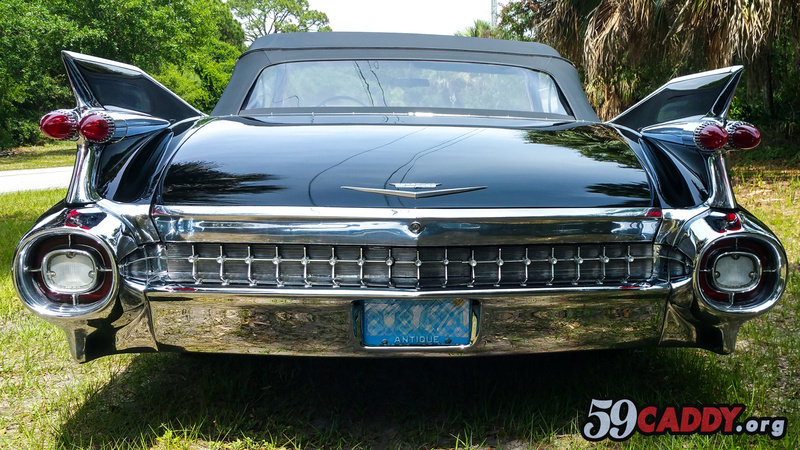 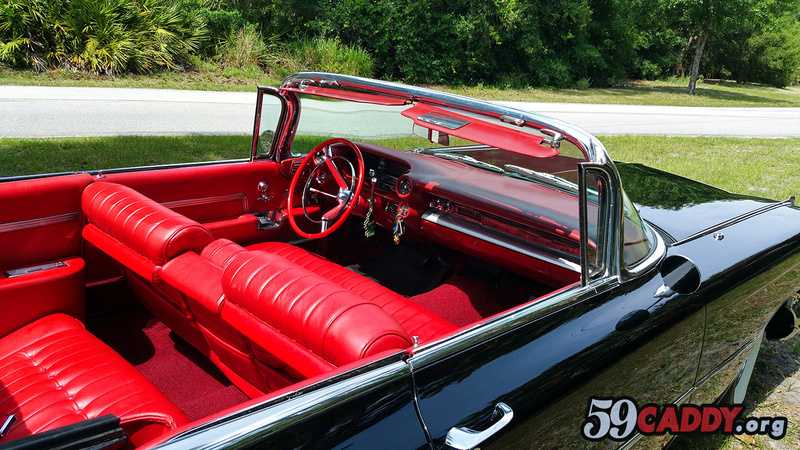 Restored 1959 Cadillac Series 62 Convertible For Sale Black with Red Interior located in Tampa Bay Florida. 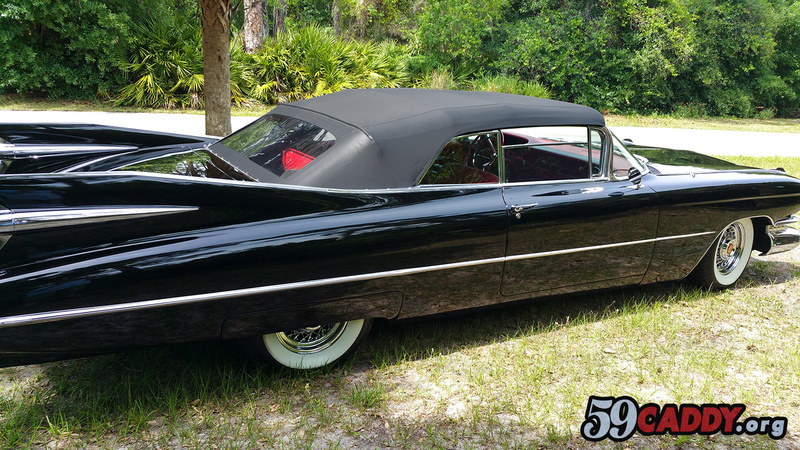 Car is Located in the Tampa Bay Area. 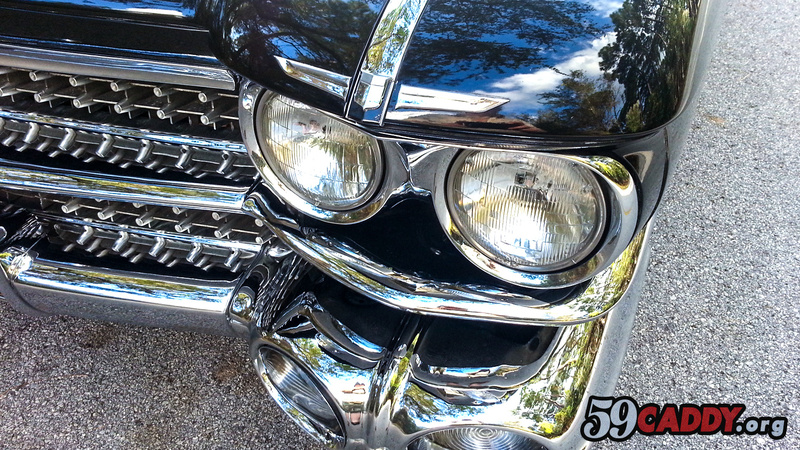 With just over 44,700 miles showing on the odometer. 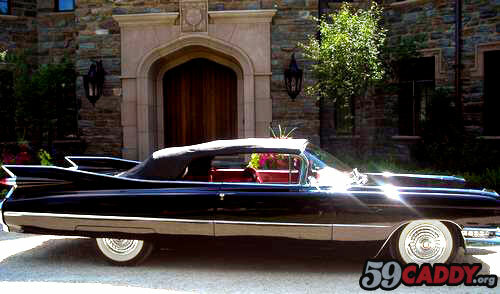 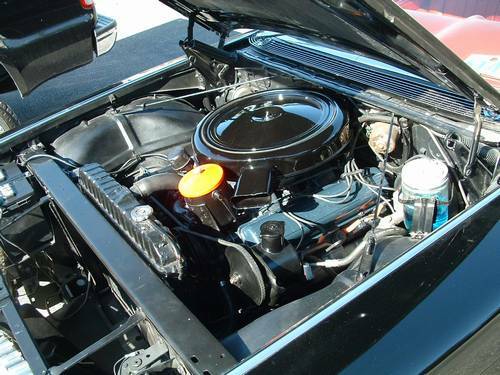 Black is the Original Color of this car. 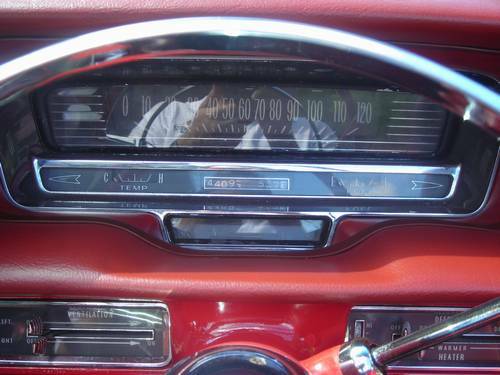 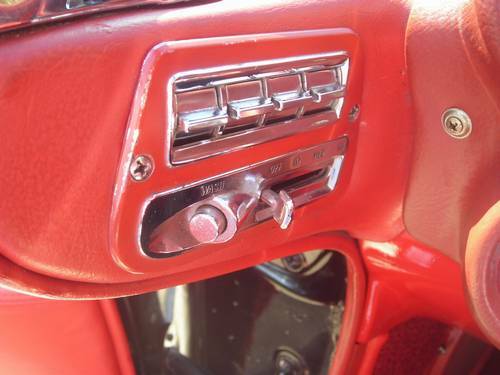 Radio, Power Seat and Clock not working. 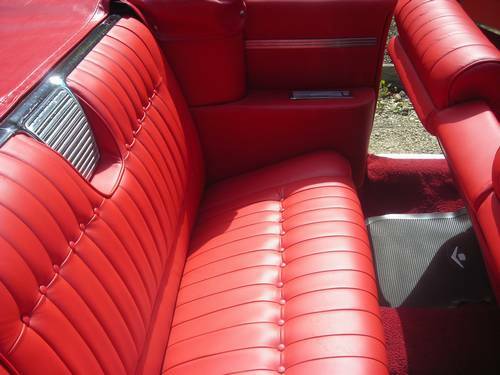 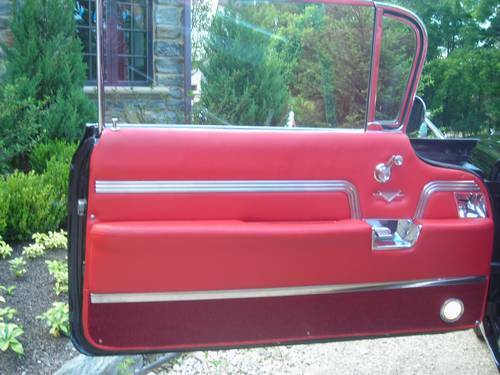 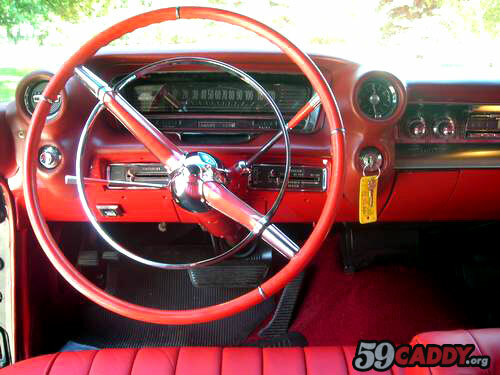 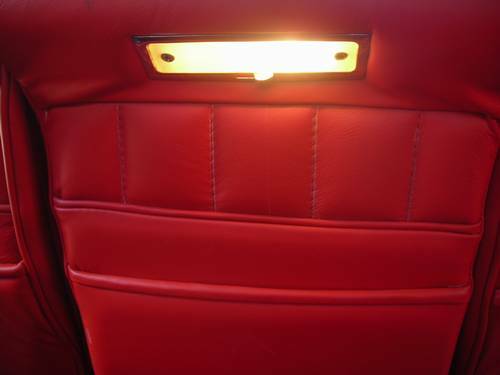 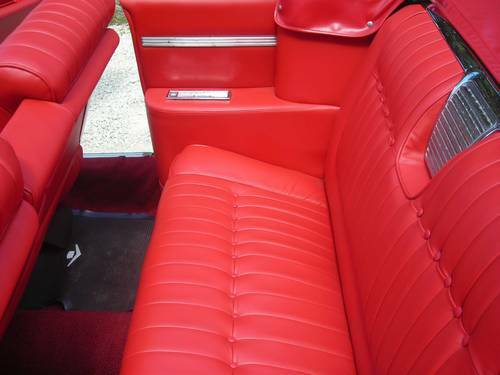 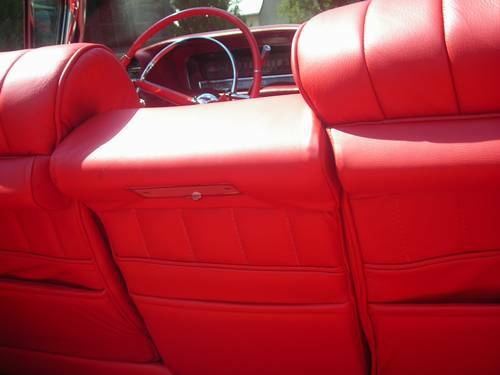 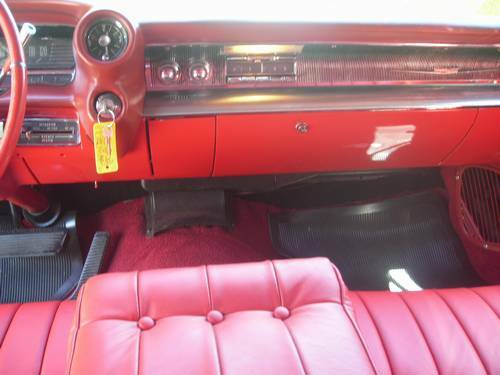 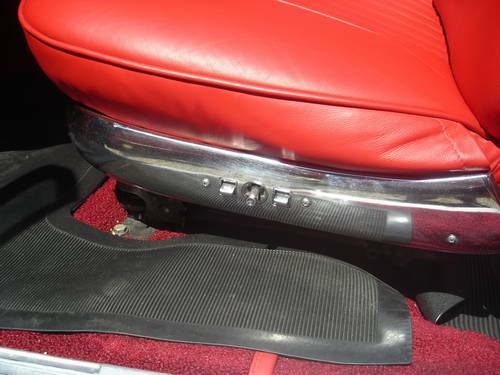 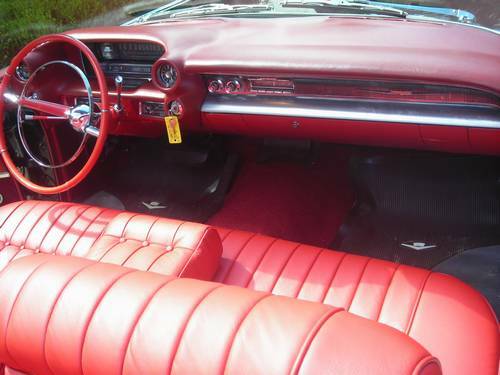 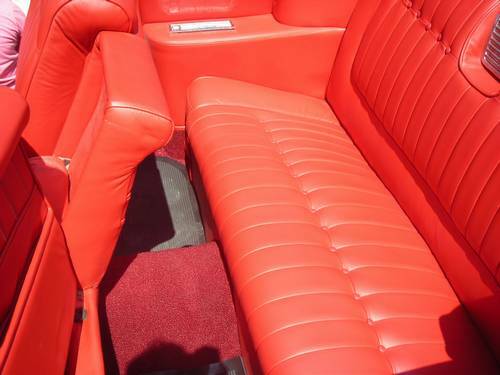 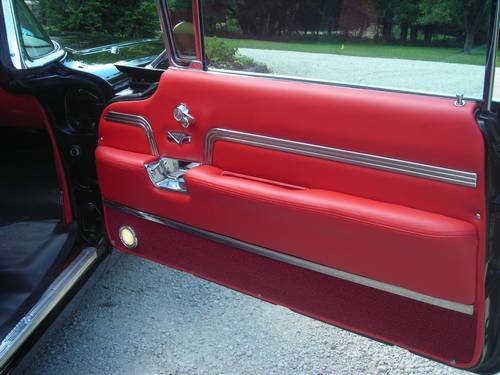 New Red Leather interior and frame on cosmetic restoration which was completed in September of 2007, the car was painted in a 2 stage urethane paint. 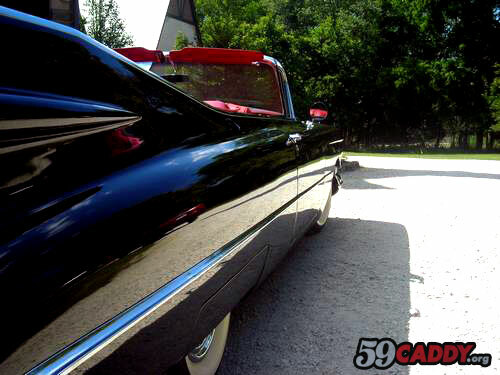 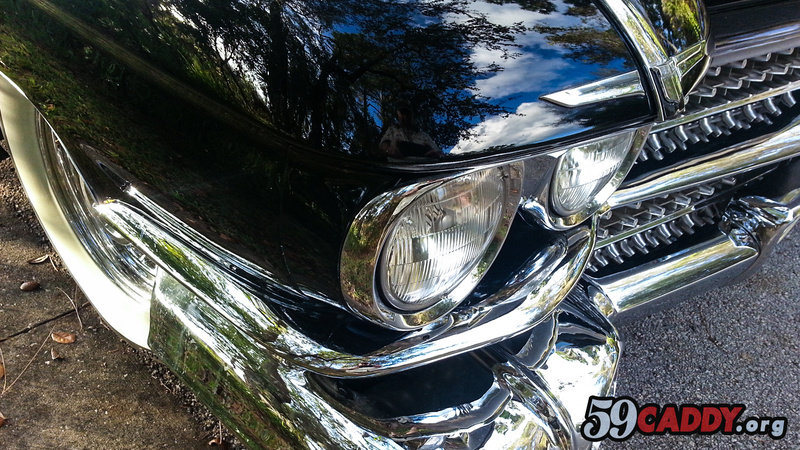 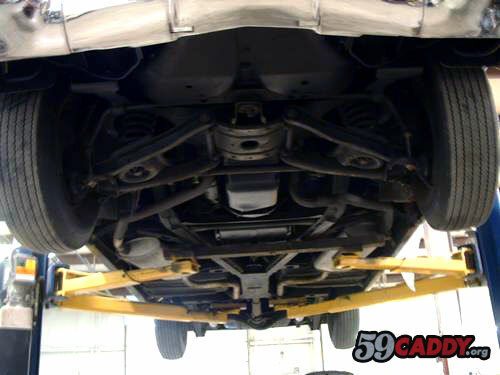 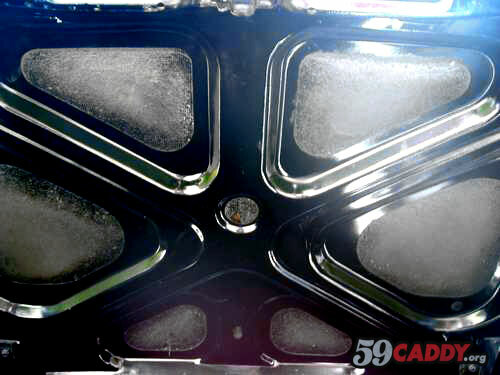 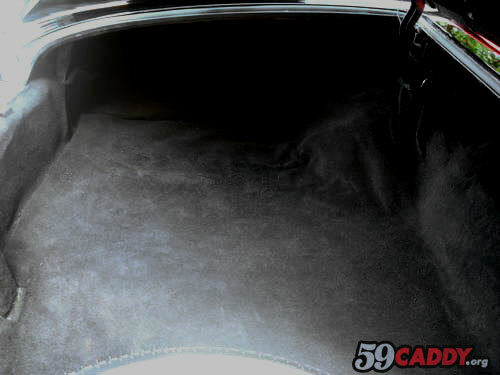 Caddy was then wet sanded and buffed to an incredible shine. 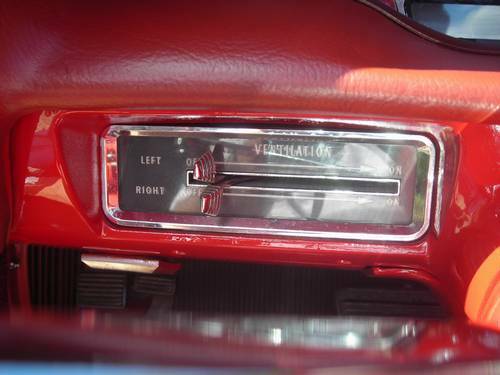 This car is very straight. 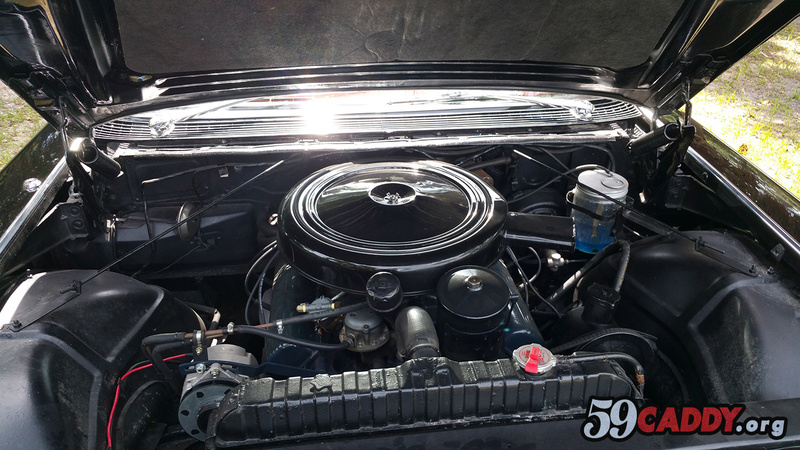 Also rebuilt the top half of the motor, carburetor etc. 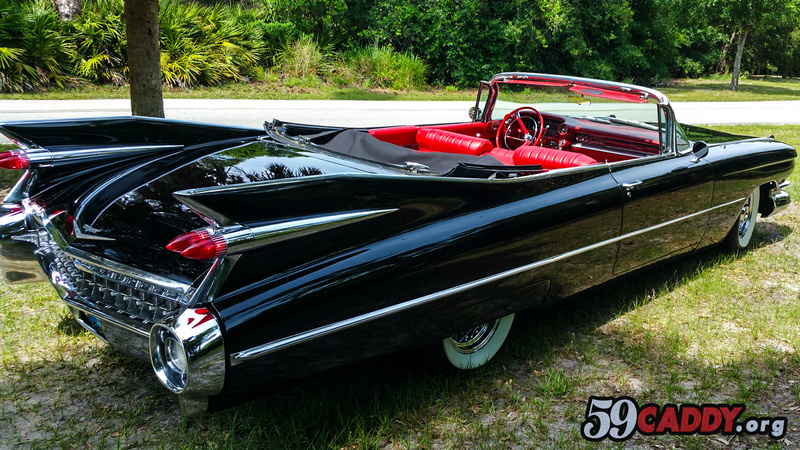 Pure American Classic Iron! 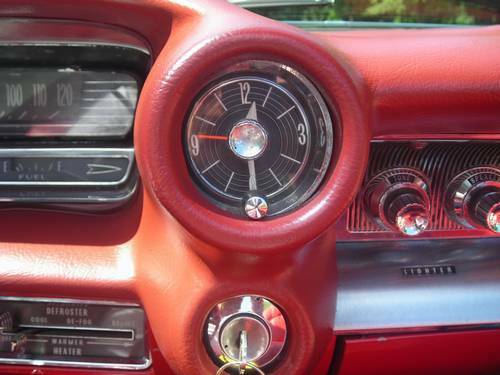 Radio and Clock not working. 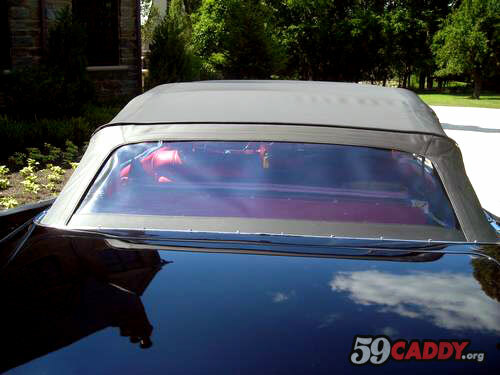 Convertible top goes up and down smoothly... 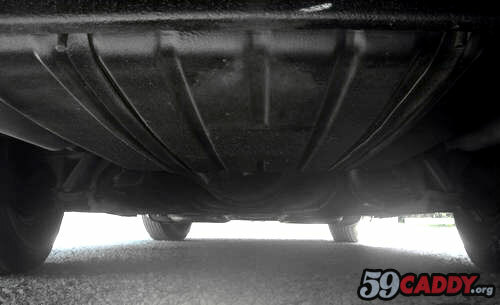 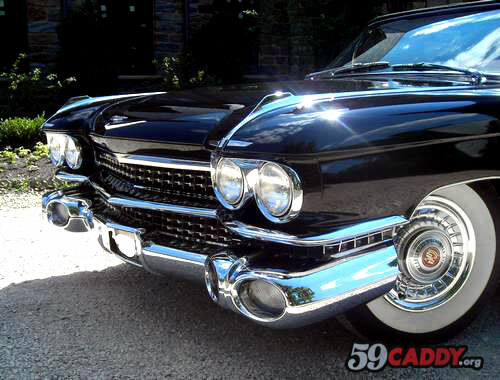 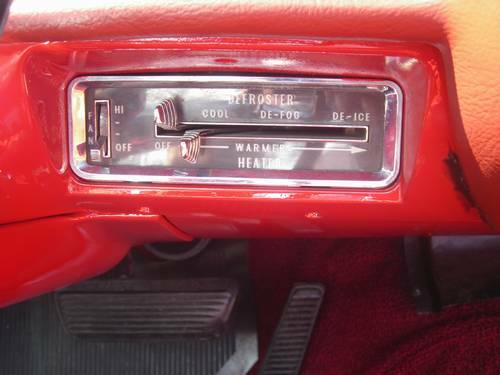 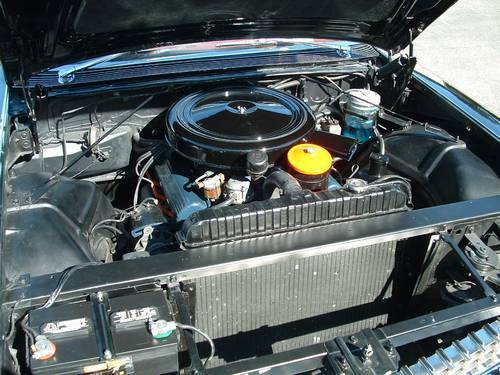 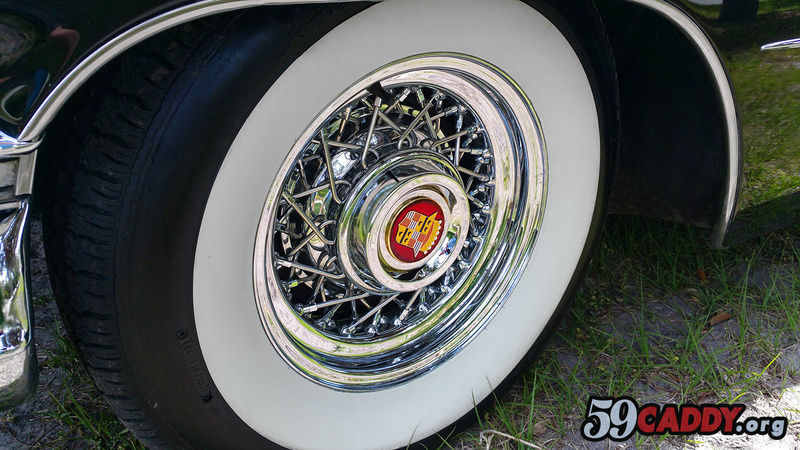 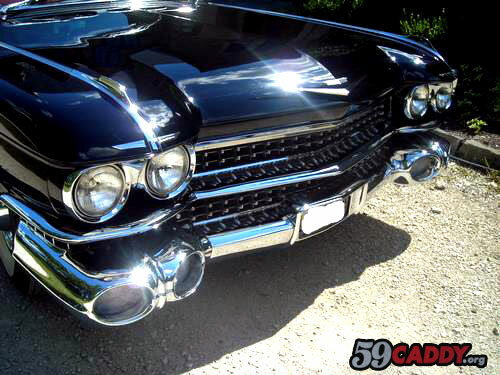 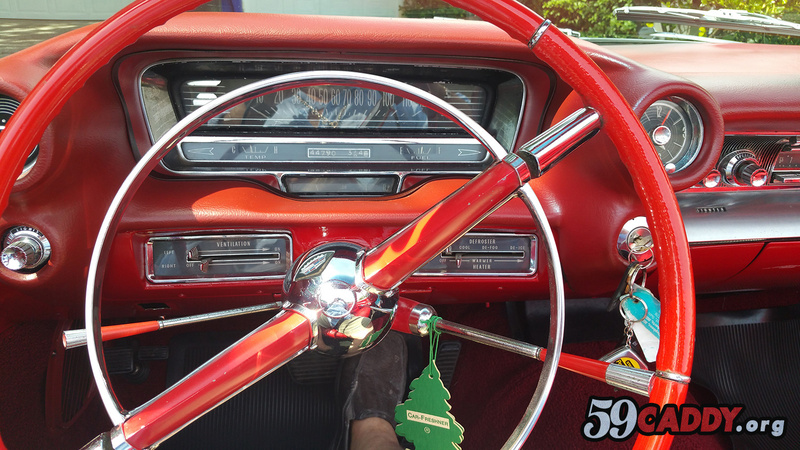 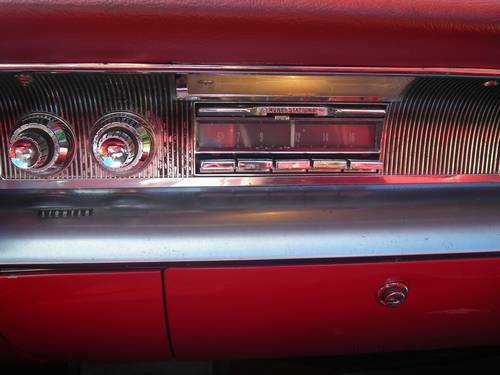 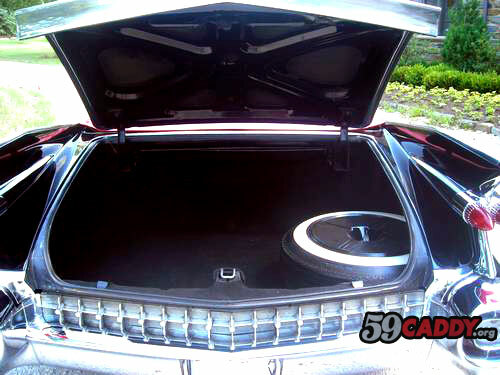 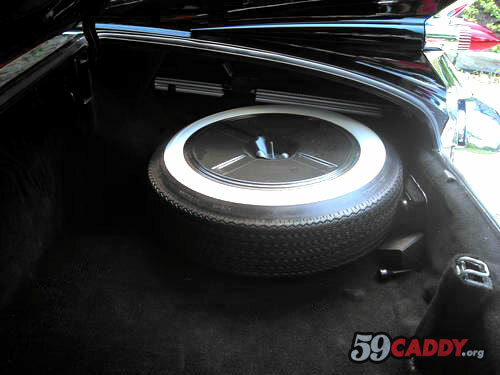 The 1959 Cadillac comes with Truespoke Premium Stainless wheels and also has the original 1959 Cadillac hub caps. 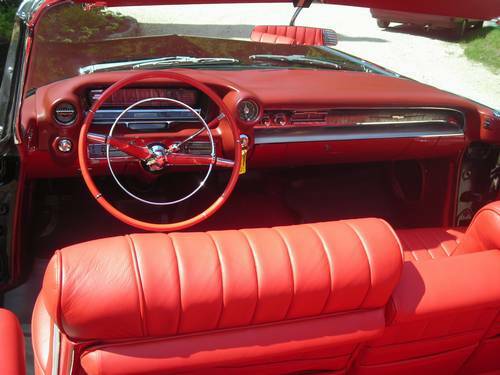 Ready to drive a turn key show car... as well as an investment grade auto. 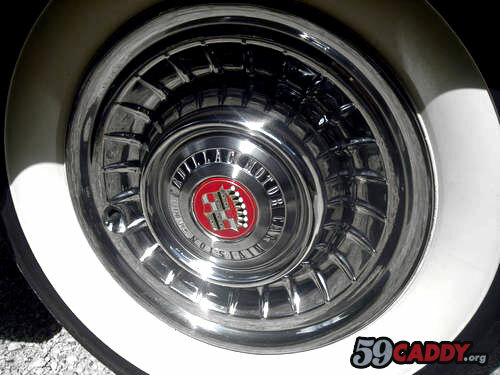 Steel discs 15 inch dia., Brake Drums 12 inch dia. 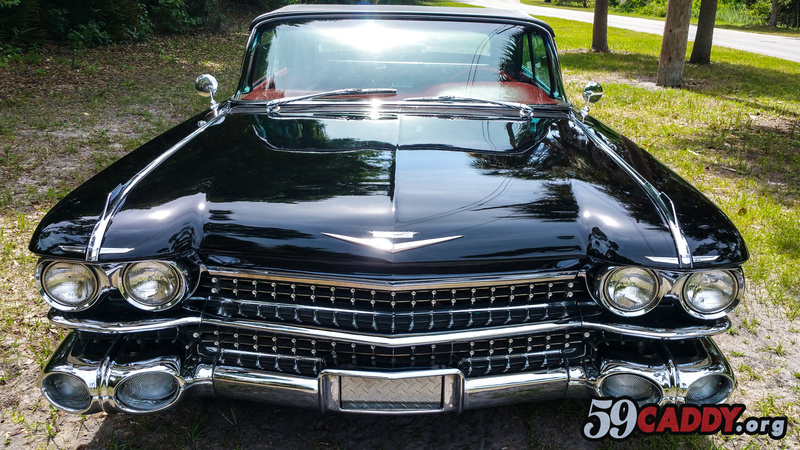 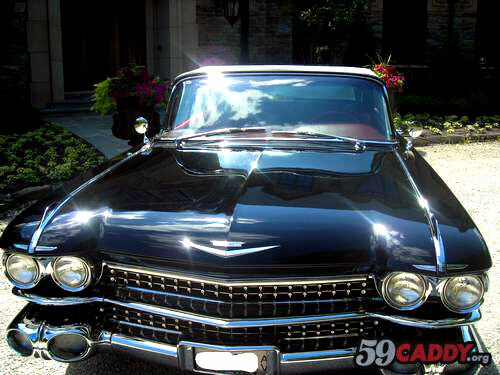 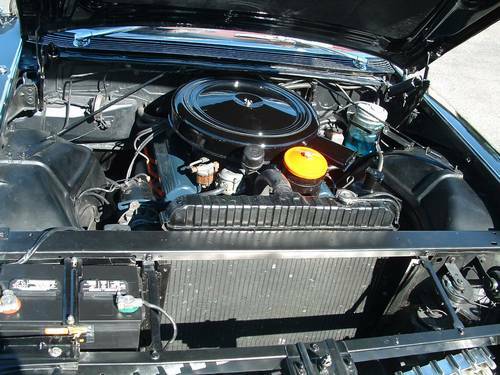 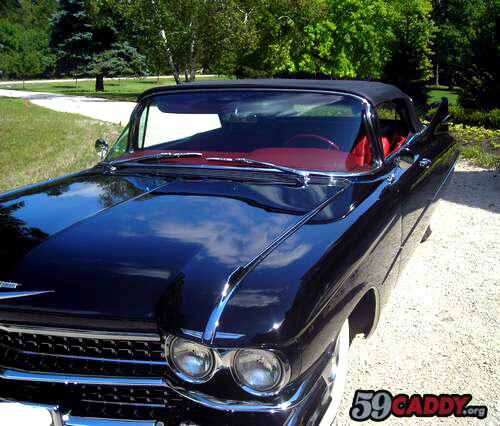 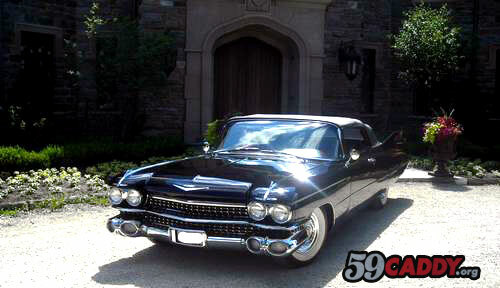 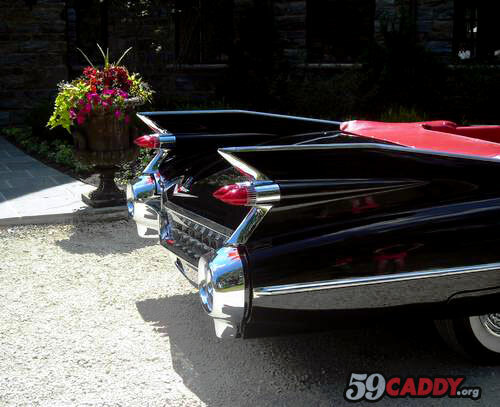 Black 1959 Cadillac For Sale Restored 59 Cadillac For Sale 1959 Caddy Convertible Series 62 for sale.